Creating multiple scenarios to understand the financial and operational impact of changes to internal and external factors is critical to effective decision-making. IBM Planning Analytics makes it easy for users to create as many of their own scenarios as they like and then compare those scenarios side-by-side. 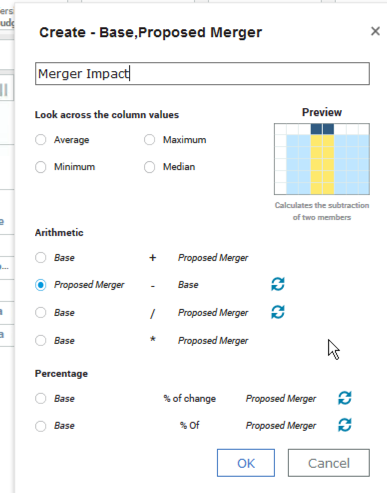 In the example below, we see a comparison of a Base forecast for Unit Sales and a scenario where a merger occurs. We also see the difference in absolute terms and as a percentage change. This side-by-side comparison makes it easy to see the impact to demand under the proposed merger. 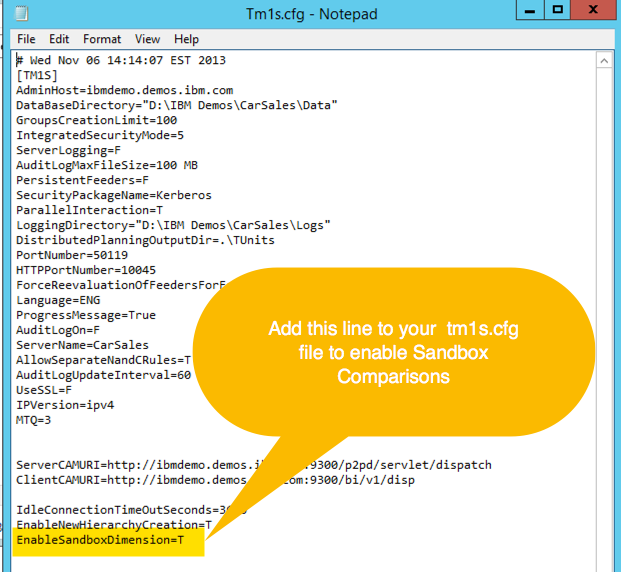 The image below shows an example of the Tm1s.cfg file that has enabled the Sandbox comparison feature. Once the Tm1s.cfg file has been updated and saved, restart the IBM Planning Analytics server. You can verify that the capability is enabled by expanding the Planning Analytics tree view and looking at the dimension list under the cube. You should see a dimension called Sandboxes. Also, you will see a dimension box called Sandboxes when viewing the cube. 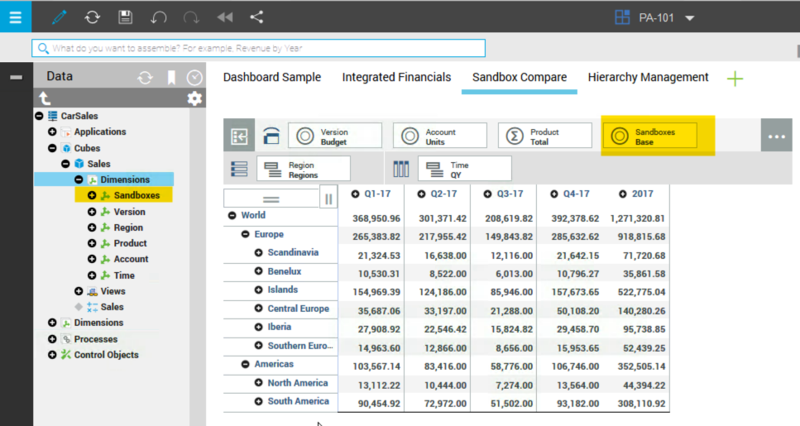 The image below shows the Sandboxes dimension in a Planning Analytics model. 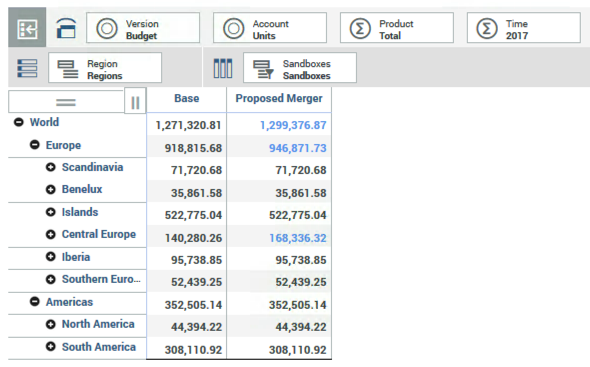 Now that the Sandbox dimension is enabled you can create and compare as many sandboxes as you like. 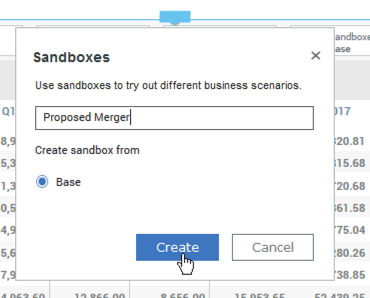 In the example below we will create a new sandbox by entering edit mode and choosing the bucket and shovel icon from the cube view context menu. Now that the new sandbox has been created, you can see it listed under the Sandboxes dimension box. Just like any other dimension in Planning Analytics, I can drag and drop the dimension as a row or column or nest it above or below other row and column dimensions. 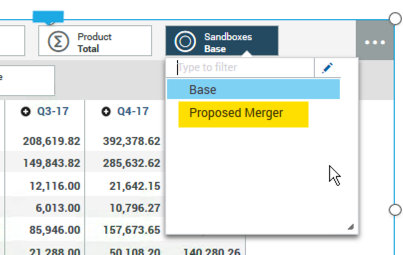 Data can be entered directly into the new Sandbox data and changes are tracked in blue. 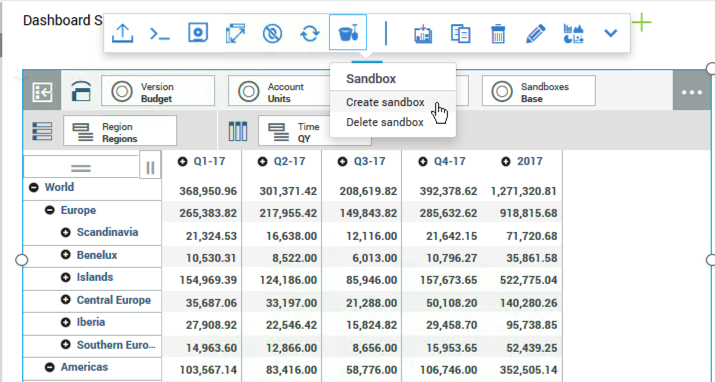 Calculations can be added dynamically by end users simply by selecting the rows or columns they want in the calculation and then right-clicking on the selected column to bring up a context menu. 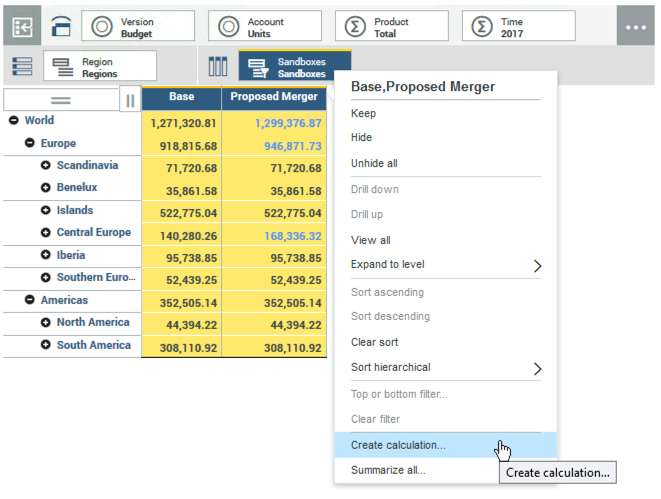 Users simply select and adjust the calculations they want to perform and provide a name to the calculation. 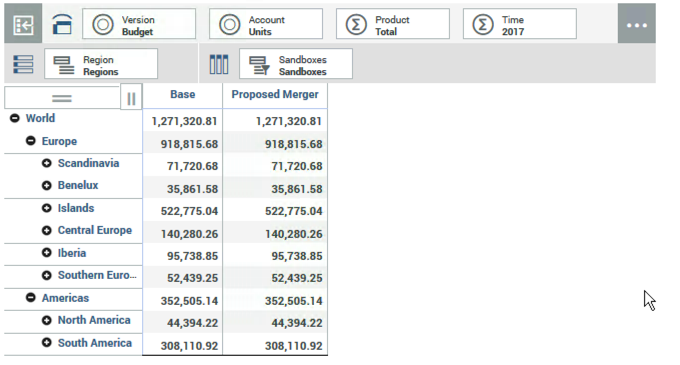 After adding a couple of calculations, we arrive at our desired view that compares the proposed merger to our base forecast. 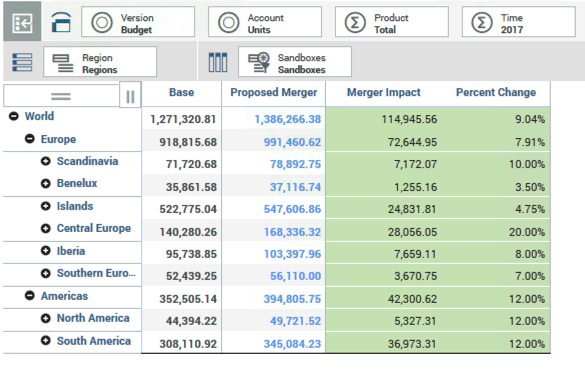 Allowing end users to easily create and compare multiple scenarios is a capability that will please end users and provide the ability to make smarter data-driven decisions.